U.S. Sen. Bob Menendez has raised more than $1.5 million for his legal defense fund since he was indicted on federal corruption charges in April and has spent more than $867,000 defending himself, according to a review of a disclosure filed with the Senate. The New Jersey Democrat so far has raised nearly $2.9 million for his defense, including $1,557,003 between April 1 and June 30. He was indicted April 1 on 14 counts accusing him of using his influence to help a Florida eye doctor in exchange for lavish vacations and campaign donations. He has pleaded not guilty and has vowed to fight the charges. The money comes from hundreds of individuals and companies, including Las Vegas casino magnate Sheldon Adelson and his wife, Miriam, who donated the maximum of $20,000 combined. Adelson is a major donor to Republicans and a fierce defender of Israel, a cause that Menendez has championed. Menendez also received $20,000 from Hollywood producer Haim Saban, a strong proponent of Israel who created the Mighty Morphin Power Rangers, and his wife, Cheryl. The senator's legal defense fund began raising money in April 2014, a year before he was indicted, with more than $157,500 given on a single day by members of the pro-Israel lobby AIPAC. The legal defense fund is just one part of Menendez's response to the yearslong investigation, which also includes a coordinated public relations campaign to support him through what is likely to be a long and expensive legal fight. "Today's report reaffirms the broad, deep and unwavering support the Senator has in New Jersey and across the country from those who know him, who share his longstanding beliefs on critical issues, and who want him to continue to fight for those beliefs and on their behalf," said Michael Soliman, a Menendez political adviser. The money raised since April 1 is on top of the nearly $1.3 million that the legal fund had raised by the time he was indicted. The legal defense fund spent $867,070 since he was indicted, including money for legal fees, travel expenses and fundraising consulting. He had spent about $850,000 in legal defense through March 31, according to earlier filings. The contributions since he was indicted include $10,000 from southern New Jersey Democratic power broker George Norcross, $10,000 from Norcross' brother, Philip, and $5,000 from likely 2017 New Jersey gubernatorial candidate Philip Murphy. Former New Mexico Gov. Bill Richardson and New York Daily News owner Mort Zuckerman also donated $5,000 each. Menendez's co-defendant, North Palm Beach, Florida eye doctor Salomon Melgen, also has been charged with trying to bilk Medicare out of as much as $190 million. He has pleaded not guilty. 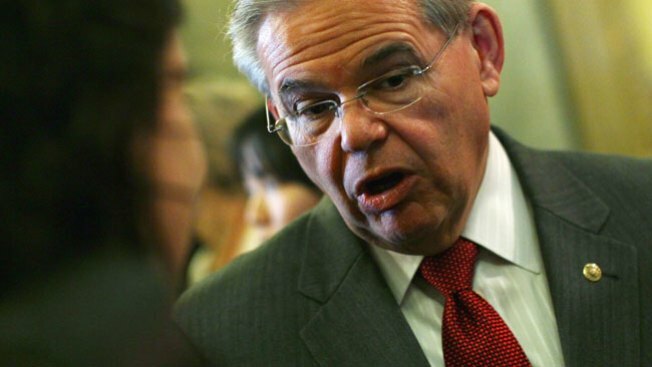 The earlier $1.3 million to Menendez's legal defense fund included $10,000 from a retired New Jersey developer who served two years in prison for making illegal kickbacks. Menendez's fund also received $10,000 from the wife of the developer, Joseph Barry, and another $130,000 from executives of the development firm founded by Barry's two sons, and their families. Barry was sentenced to 25 months in prison in 2004 for giving nearly $115,000 in payoffs to longtime Hudson County Executive Robert Janiszewski after getting help to obtain government funding for a housing project. The project is now owned by Ironstate Development Corp., which Barry's sons started after he retired. The donations since the indictment include $10,000 from KRE Property Management Co. LLC, a New Jersey company that has partnered with Ironstate on a Jersey City housing project.